There are lists galore on the best motivational or inspirational quotes from sports figures. Every fan knows cancer-stricken basketball coach Jim Valvano&apos;s stirring speech that included the battle cry "don&apos;t give up, don&apos;t ever give up." Some of the words of NFL great Vince Lombardi are among the most quotable ever to emerge from a leader in any position and coaches in all sports look at John Wooden&apos;s techniques. Those who have made their mark and been sports leaders in Greater Lansing, Michigan have offered these takes on their lives and its advice applicable for non-athletes as well. "We&apos;ll play anybody, anyplace, anytime. It doesn&apos;t matter, morning, noon or night, and it doesn&apos;t matter who it is." Jordyn Wieber: The U.S. Olympian gymnast was born, raised and trained in the Lansing suburb of DeWitt. A team gold medalist and individual all-around competition world champion, Wieber stayed grounded and humbled despite international success. Wieber kept perspective on what competition meant to her, the importance of hard work and that she was a role model. While Wieber didn’t author these quotes, here are two messages she delivered that continue to be relevant. "It will hurt. It will take time. It will require dedication. It will require power. You will need to make healthy decisions. It requires sacrifice. You will need to push your body to the max. There will be temptation. But, I promise you, when you reach your goal it&apos;s all worth it." "You have to remember that the hard days are what make you stronger. The bad days make you realize what a good day is. If you never had any bad days, you would never have that sense of accomplishment." 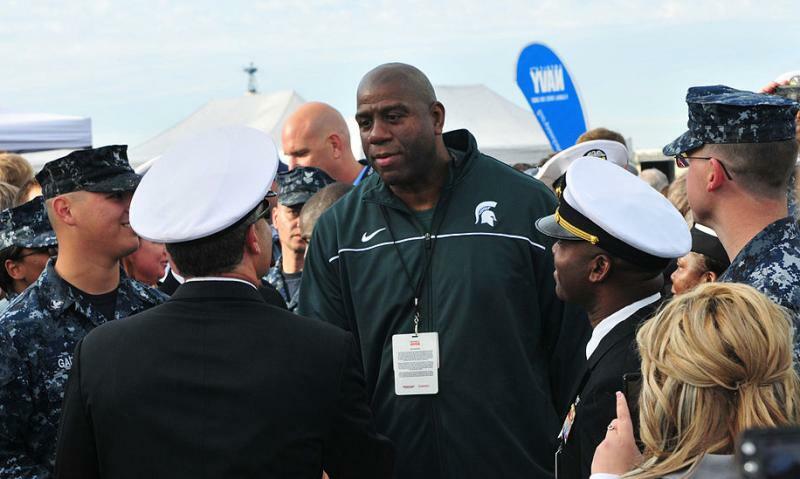 Earvin "Magic" Johnson: Magic&apos;s notable achievements include: Michigan high school champion at Lansing Everett, NCAA title at Michigan State, multiple world championships and MVPs with the Los Angeles Lakers. "There&apos;s winning and losing, and in life you have to know they both will happen. But what&apos;s never been acceptable to me is quitting." Duffy Daugherty: Michigan State&apos;s winningest football coach with 109 victories led the Spartans to four national championships in 19 years. Daugherty was known for a lighthearted wit off the gridiron, but he was as serious as they come while on the field. "We like them big ... but we&apos;ll settle for players with three kinds of bones - a funnybone, a wishbone and a backbone. The funnybone is to enjoy a laugh, even at one&apos;s own expense. The wishbone is to think by, set one&apos;s goals high and have dreams and ambitions. 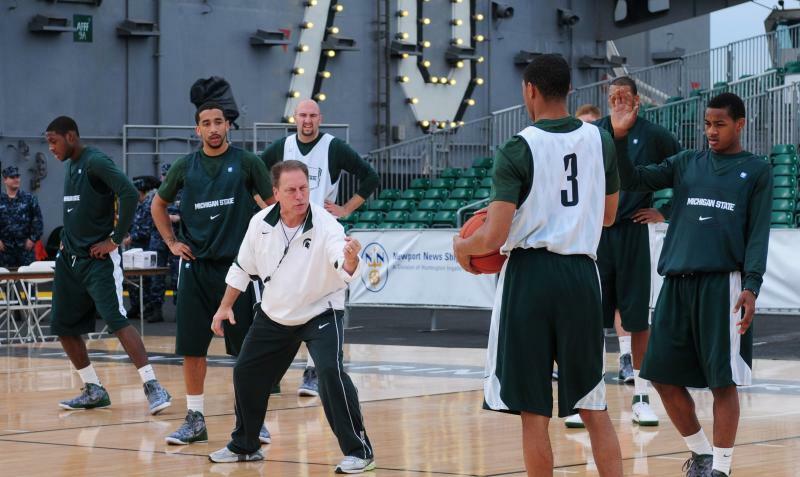 And the backbone - well, that&apos;s what a player needs to get up and go to work and make those dreams come true." 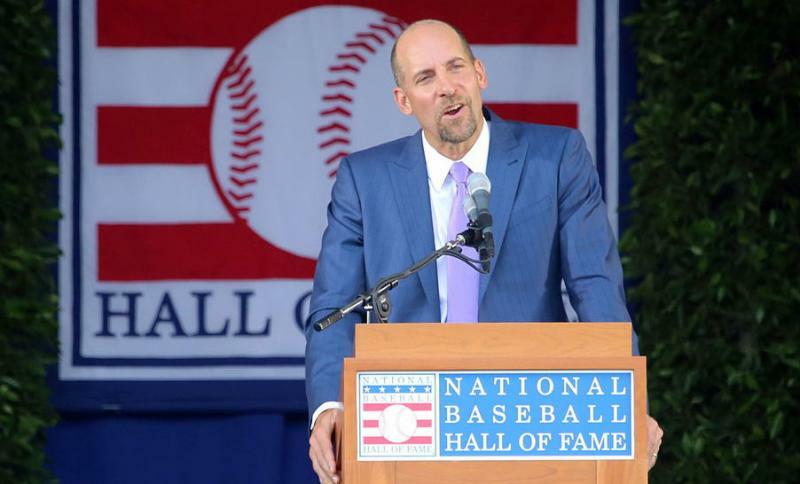 John Smoltz: This Michigan native went from being a trade afterthought to a Major League Baseball Hall of Famer during a 22-year career with the Atlanta Braves and two other teams. Smoltz, an eight-time All-Star who won the 1996 Cy Young Award, was 20 when he was drafted by the Detroit Tigers out of Lansing&apos;s Waverly High. He attributed his athletic achievements not to natural talent, but to a drive to compete and adapt, something everyone can learn from. Draymond Green: Current Golden State Warrior Draymond Green was the unquestioned leader of the Spartan basketball team when Michigan State advanced to the Final Four in 2011-12, the same year he won multiple player of the year awards. Green helped motivate teammates and players in other MSU sports, including encouraging WR Bennie Fowler who learned the quote "minor setback for a major comeback," from Green as Fowler returned from an injury. Green borrowed that quote, but here&apos;s another that shows his desire. "I feel like each possession is a battle and you never want to lose a battle."